Perfect for a multi-tasking, modern lifestyle, this chairside end table will become the hub of your living room seating area. 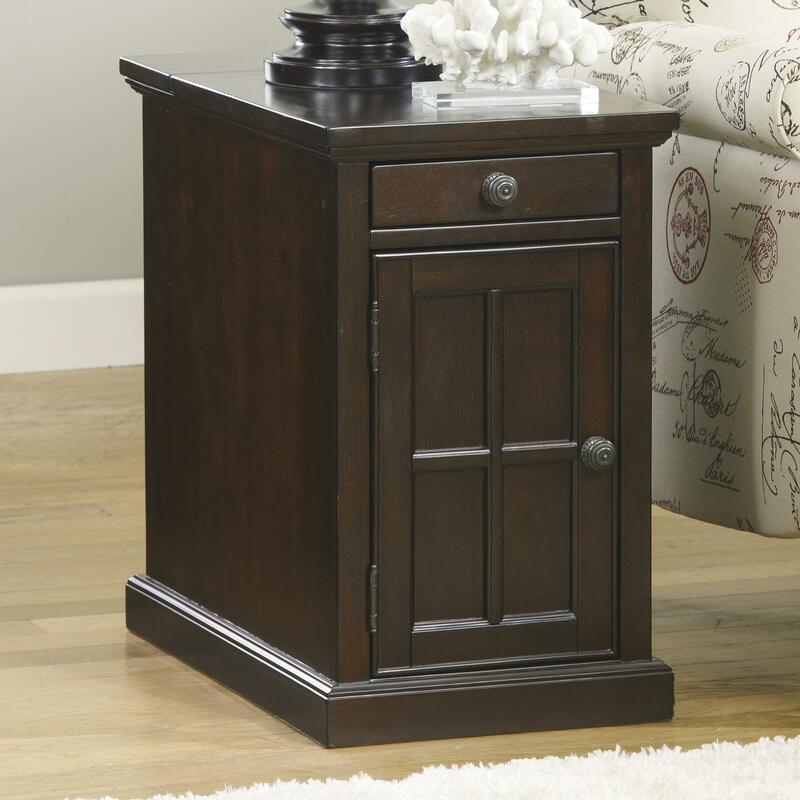 Featuring a dark finish with a classic door with windowpane molding and elegant base molding, this functional occasional cabinet pairs style with utility. It features a flip-up top at the back that opens to reveal three power outlets and USB charging ports for charging laptops, cell phones, and tablets. Additional storage includes a magazine rack on the back, ample storage behind a front door, and a pull-out shelf with recessed two cup holders and remote cubby.